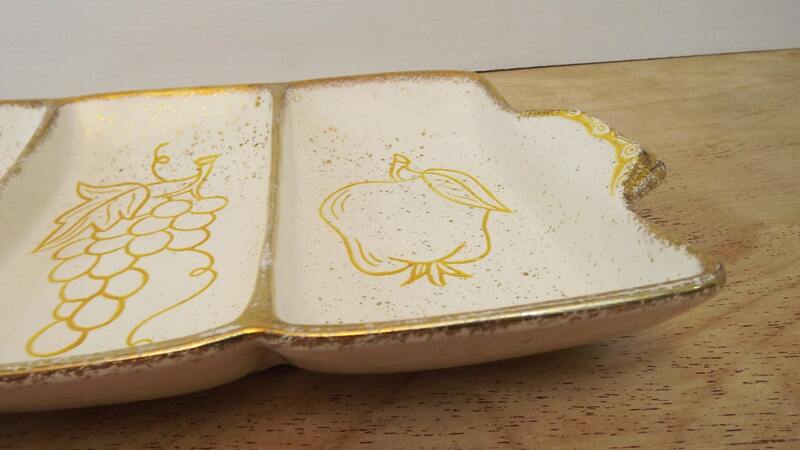 Description: Beautiful vintage Bell MFG CO., California Pottery, U.S.A. 3 piece Serving Platter/Condiment Platter. Manufactured late 50's early 60's. 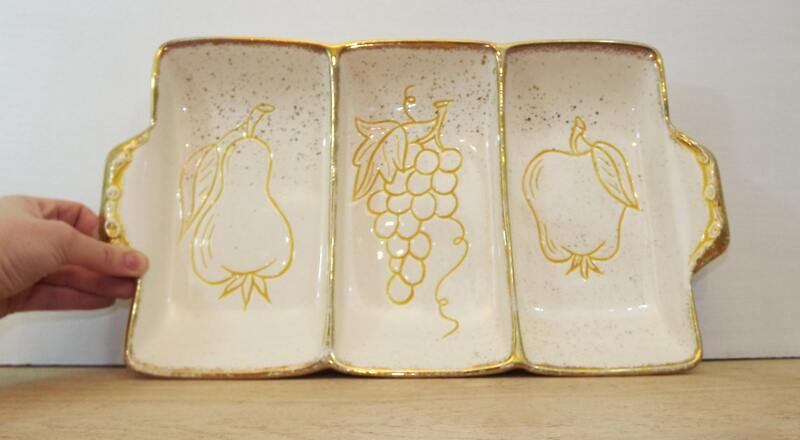 This great platter is cream color with yellow fruit etchings of a pear, grapes and an apple. 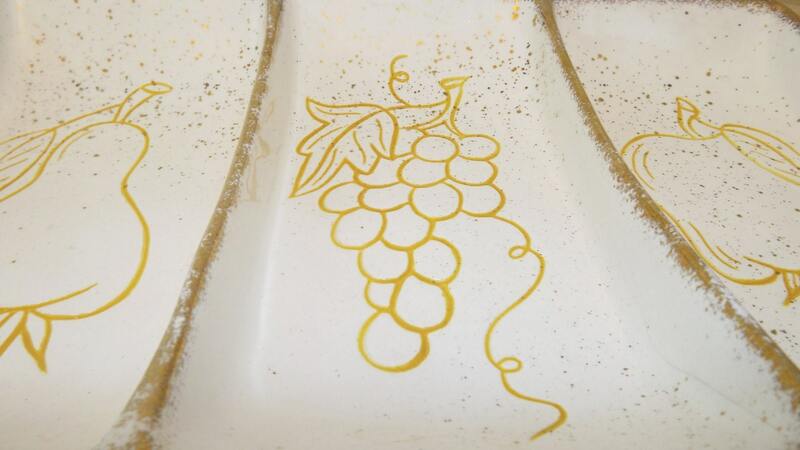 The tray is trimmed in gold and has gold flecks throughout. It is in excellent condition without any chips, cracks or flaws. 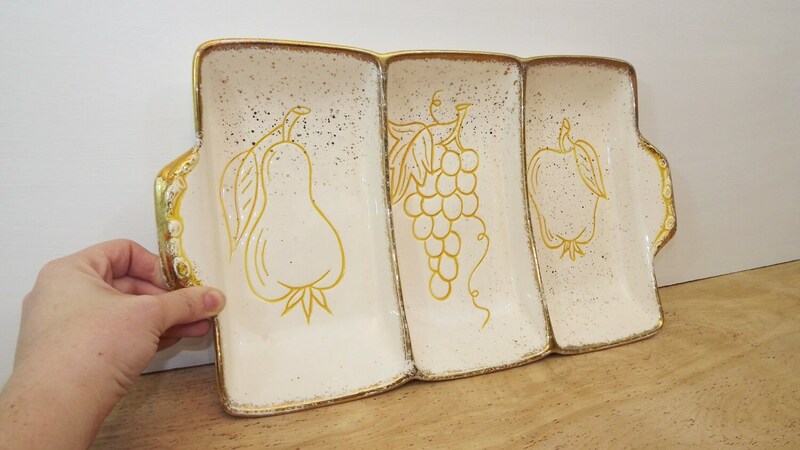 It is a large serving tray that measures 16" long from handle to handle, 9 1/4" wide and 1 7/8" tall. Each compartment is 4 5/8" wide. 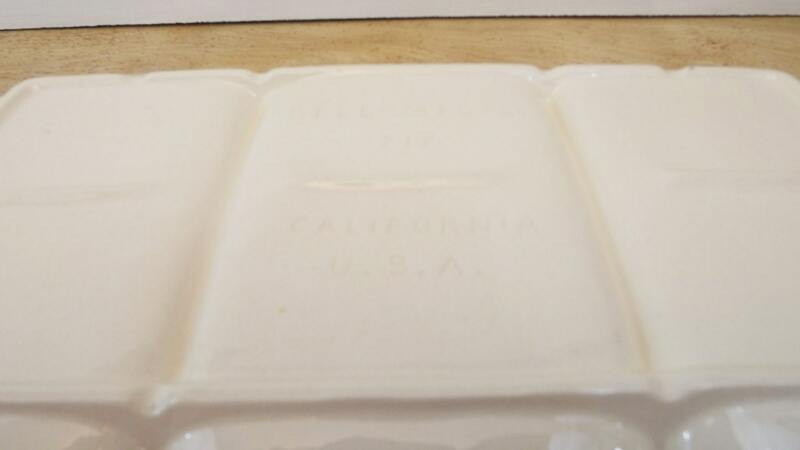 The bottom of the tray reads: BELL MFG CO. # 717. CALIFORNIA U S A.